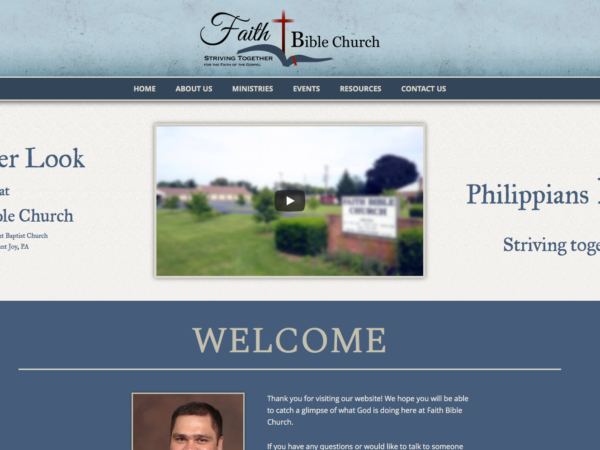 The website that I developed for Faith Bible Church several years ago ended up having several features that were not needed. It was also built on a framework that I no longer support. The complexity of its feature set caused it to be difficult to manage and it was time to update some of the design. My goals in the makeover involved simplifying the administrative work, modernizing the code base, adding sermon archives, and giving the design a fresh appearance. Special care was given to emphasize FBC’s new promotional video and Philippians 1:27 theme.